Seminole Town Center Mall in Sandford has 5 anchor stores, which are Sears, Dillards, JC Pennys, Macys, and McRaes. This upscale shopping mall has over 120 other stores, including the Disney Store, Victorias Secret, Select Comfort, American Eagle, Wilsons Leather, Gap, Radio Shack and Sam Goodys. Seminole Town Center Mall in Sandford also has a United Artists movie theater. Seminole Town Center Mall in Sandford has four sit-down restaurants, which are the Olive Garden, the Orlando Ale House, Red Lobster, and Ruby Tuesdays. Over the counter restaurant dining choices include the Cajun Grill, Dairy Queen, Orange Juius, Natural Choice, Panda Express, Sbarro, Subway, and Taco Bell. 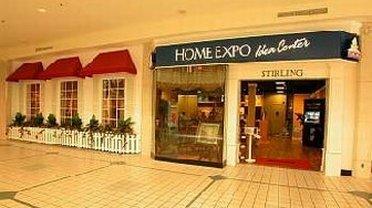 Seminole Town Center Mall in Sandford is open Monday throuhg Saturday from 10:00 am till 9:00 pm, and on Sunday from noon till 6:00 pm. Anchor stores: Sears, Dillards, JC Pennys, Macys, and McRaes.